A recurring invoice is a profile based on an existing invoice or an invoice draft. 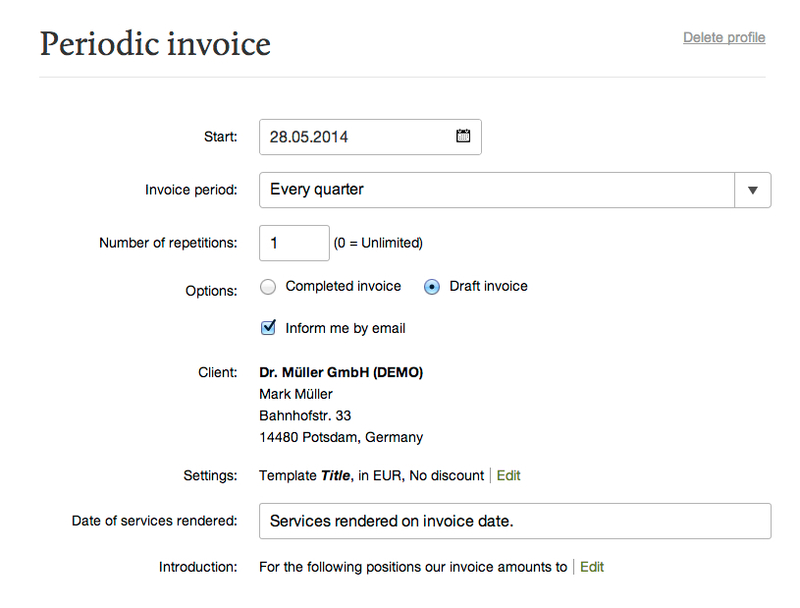 You can find a list of all profiles for recurring invoices in your overview of revenues. Invoices, that have a profile for recurring invoices can be recognized by the twin dart - symbol in the list of revenues. 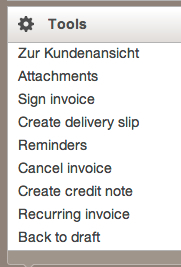 Clicking this twin dart - symbol next to an invoice will open the editing screen for the corresponding profile. To create a new profile for a recurring invoice, open an invoice and click Tools | Recurring Invoice and you will be lead to the editing screen, where you cann fill in details for the next invoice to be created with this profile.